More than ever these days, the sales process tends to be a war about price―a frustrating, unpleasant war that takes all the fun out of selling. But there's a better way to think about sales, says bestselling author Ram Charan, who is famous for clarifying and simplifying difficult business problems. 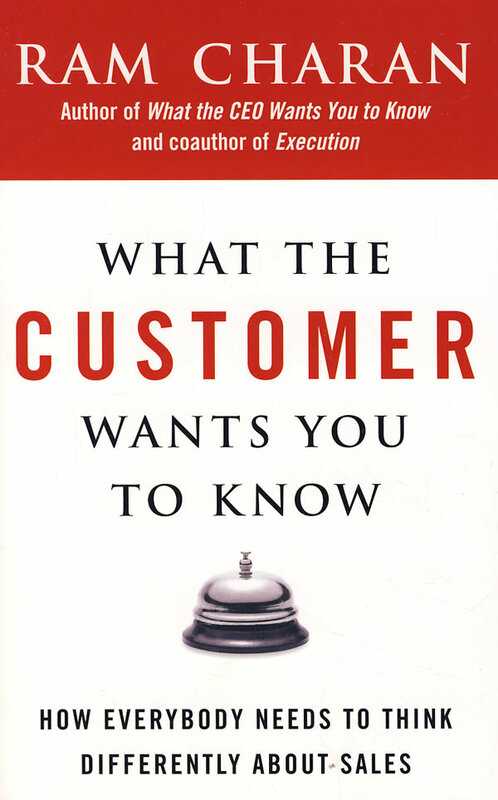 What the customer wants you to know is how his or her business works, so you can help make it work better. It sounds simple, but there's a catch: you won't be able to do that with your traditional sales approach. Instead of starting with your product or service, start with your customer's problems. Focus on becoming your customer's trusted partner, someone he can turn to for creative, cost-effective solutions that are based on your deep knowledge of his values, goals, problems, and customers. Someday, every company will listen more closely to the customer, and every manager will realize that sales is everyone's business, not just the sales department's. In the meantime, this eye-opening book will show you how to get started.